Former Wimbledon champion Marion Bartoli has echoed the views of tennis fraternity, slamming Novak Djokovic for his refusal to cooperate with journalists after his French Open quarter-final defeat in Paris on Tuesday. 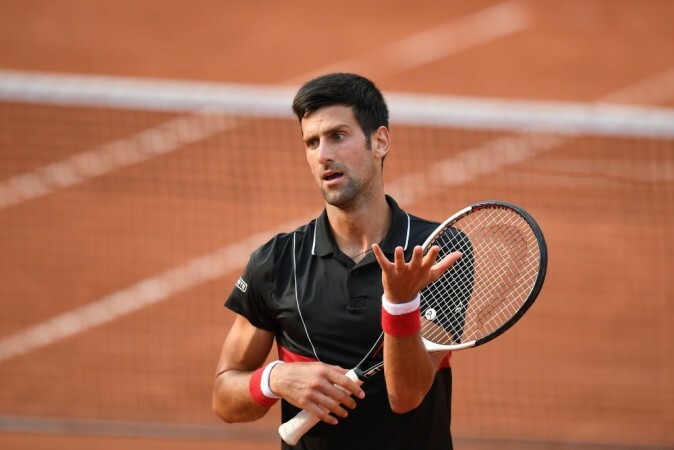 Former Wimbledon champion Marion Bartoli has slammed Novak Djokovic, following the "disappointing" quarter-final defeat at French Open that led to his abrupt behaviour at the post-match press conference on Tuesday, June 5. The 33-year-old former French professional tennis player said that the way he acted after the defeat was "not acceptable." Visibly disappointed and frustrated at his defeat in the quarter-final, Djokovic refused to cooperate with journalists at the press conference that followed the fiercely-fought tie. He initially refused to enter the main press room and then gave short and ambiguous replies to the reporters from a smaller space. Djokovic spoke in his native-tongue, Serbian, for the most part of the press conference which ended abruptly after he stormed out of the hall. When asked about his behaviour, here's what Bartoli told ITV, as quoted by the Daily Express. That for a champion like him is not acceptable the way he was acting afterwards. The former world number one faced a defeat in four sets to unseeded Marco Cecchinato in the quarter-final, much to the surprise of the tennis fraternity. The 20th seed was slowly returning to his peak form following long-standing issues with his racquet-swinging elbow and had dropped only one set over the first four rounds of the ongoing clay-court Grand Slam. Djokovic struggled to match Cecchinato's power and on-court movement during the initial stages of the match and went on to lose the first set 6-3. Despite raising his game, he was piped in the second-set tie-breaker. The 12-time Grand Slam champion held composure and came with one of the brilliant displays of his fighting spirit in the third and fourth sets. He was serving for the fourth set at 5-3 before Cecchinato staged a remarkable comeback and edged his higher-ranked opponent 13-11 in a marathon fourth-set tie-breaker. Talking about the match and Dojokovic's reaction, deemed unsportsmanlike by man, here's what Bartoli had to say. I think it was very frustrating. Obviously, he will have been very disappointed as well. I think when he was able to turn that third set around, winning 6-1, he thought really he would win this match in five sets. That match could have been the pivotal part of him turning his career around by winning here. But the way Cecchinato came back has destroyed Novak because he had flashbacks from the beginning of the season with tennis. The former world number one made a stunning revelation during the press conference when he said he is unsure of his participation in the upcoming grass-court swing of the season. Here's an excerpt from the press conference where Djokovic answered about his grass-court future this season. Question: When do you think you'll first play on the grass? Djokovic: I don't know. I don't know if I'm going to play on grass. Djokovic: I don't know if I'm going to play on grass. Djokovic: I don't know. I don't know what I'm going to do. I just came from the court. Sorry, guys, I can't give you that answer.